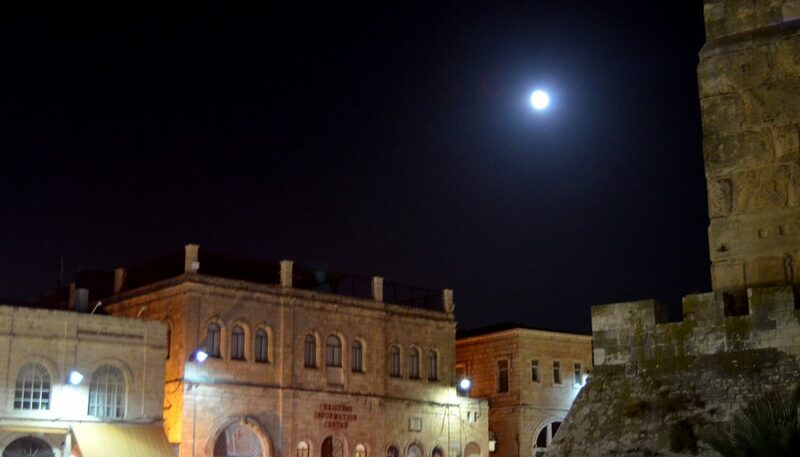 The full moon was shining over the Jerusalem, Israel streets. Red balloons were tied outside of restaurants, street cafes, and wine bars. 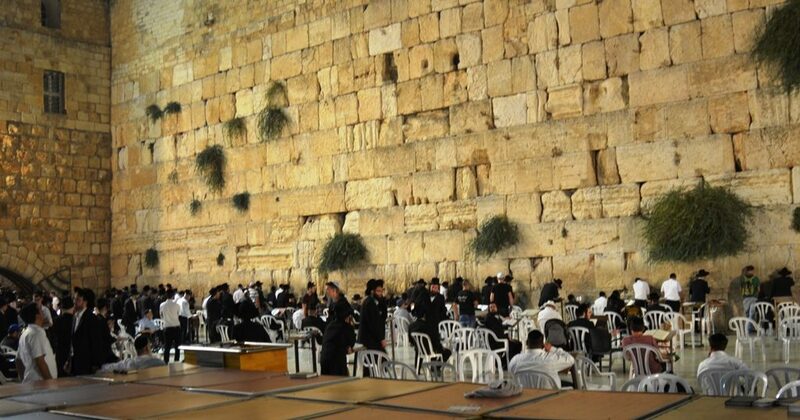 Celebrations had begun for Tu B’Av, the “Jewish Valentines Day,” the week after Tisha B’Av. 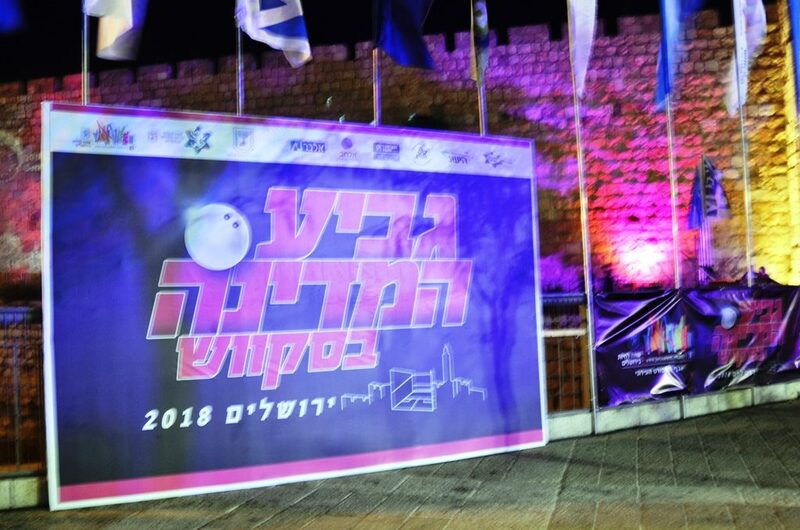 Extra security was posted along the path between Yemin Moshe and Sultan’s Pool, where the Jerusalem Film Festival was having its opening night. 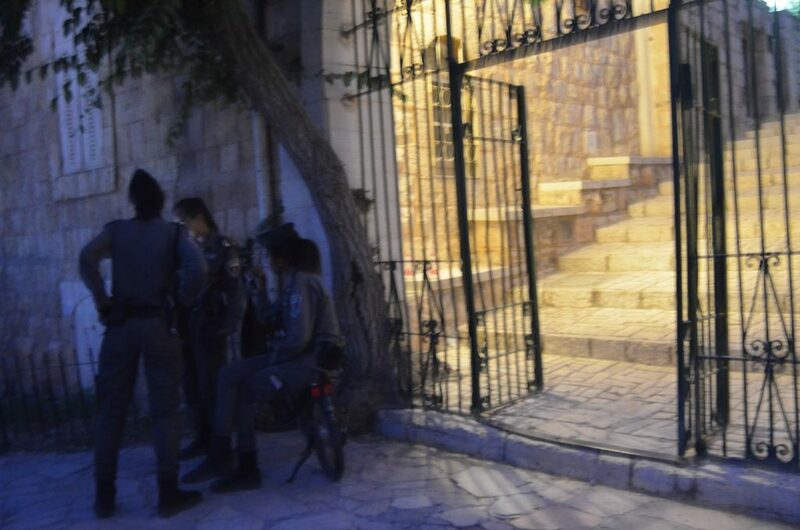 In the shadows, were three Ethiopian-Israeli women in uniform posted on guard duty by the gate. The Artists’ Colony was empty, until the International Arts Festival, from August 6 – 18. 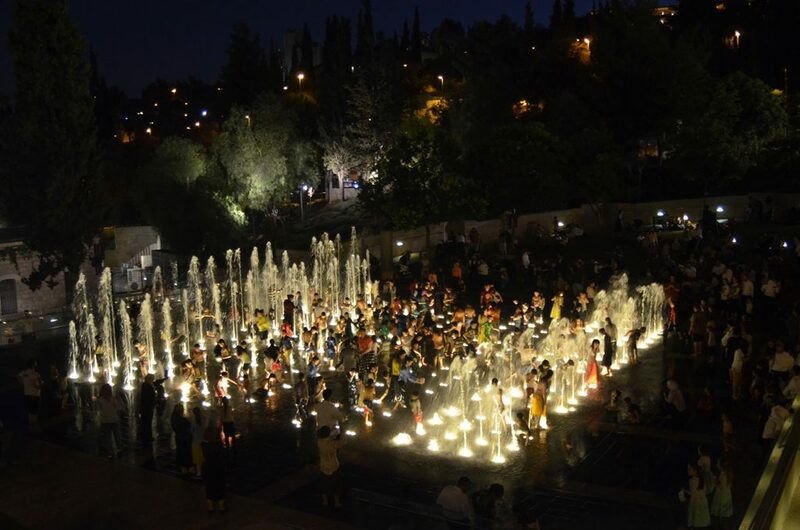 But nearby the fountain in Teddy Park was full. Day and night, all summer long, one hears the squeals of children enjoying the water and at night, there is music too. 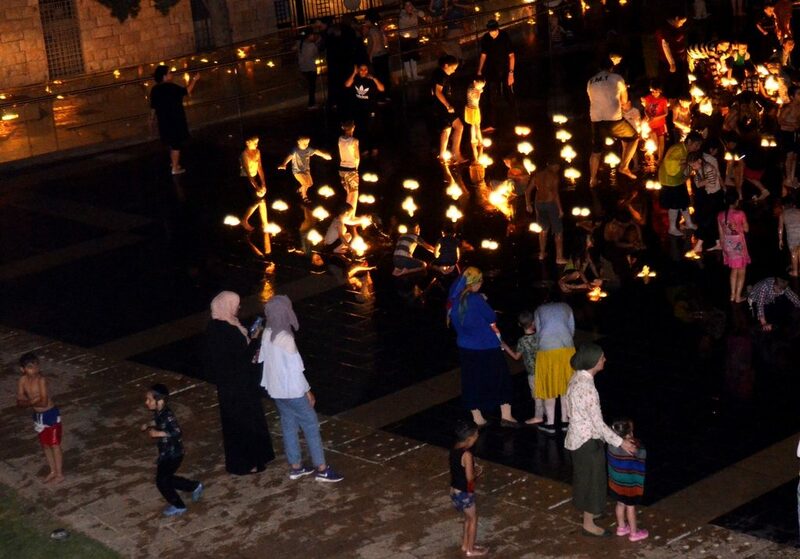 Teddy Park is a place where Muslims and Jews come together regularly, night and day. 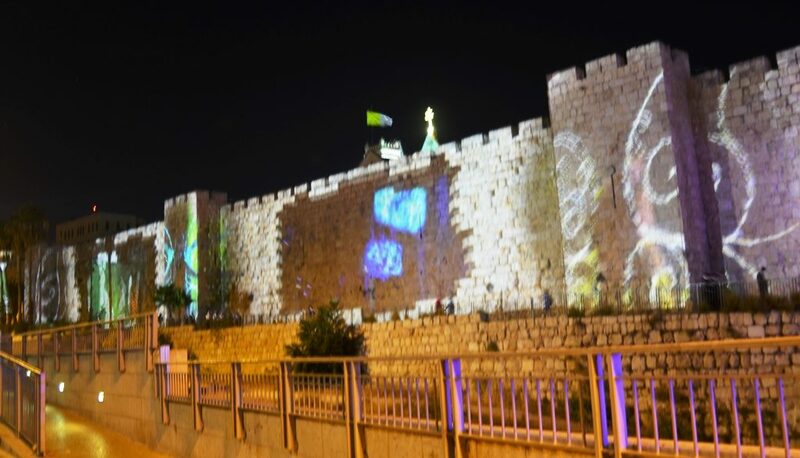 The Old City Walls were lit for the Tu B’Av crowds to enjoy. 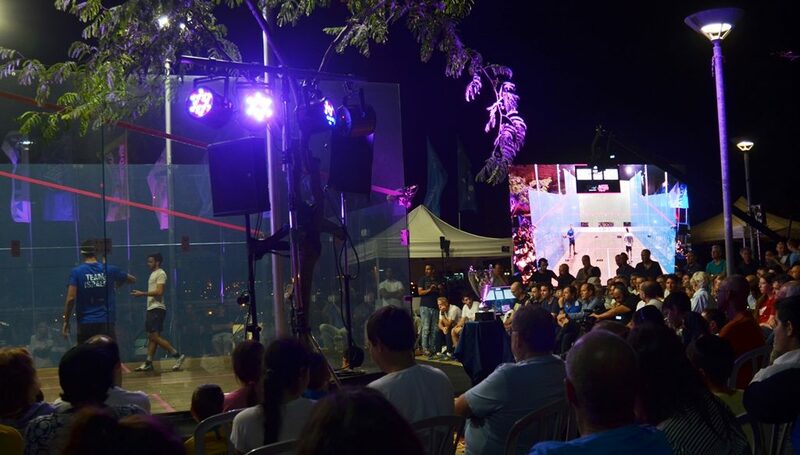 In keeping with the RJS theme: “What will you find next on the Jerusalem streets?” the Israeli Squash Tournament was being held near Jaffa Gate. 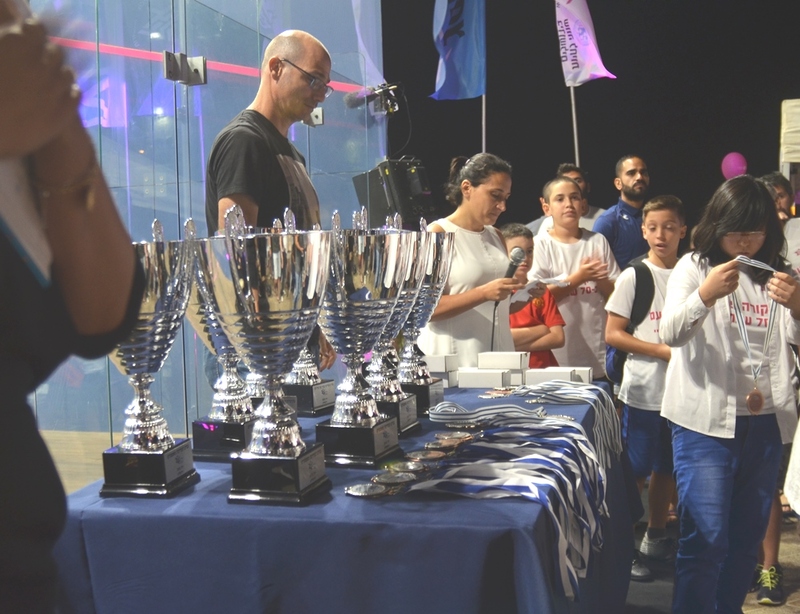 lots of large trophies and medals for various age groups. 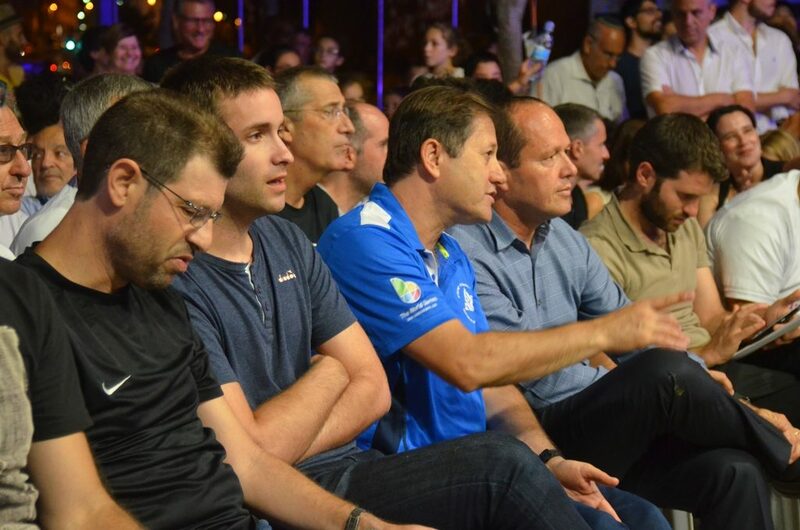 Jerusalem Mayor Nir Barkat was sitting front and center watching a game. 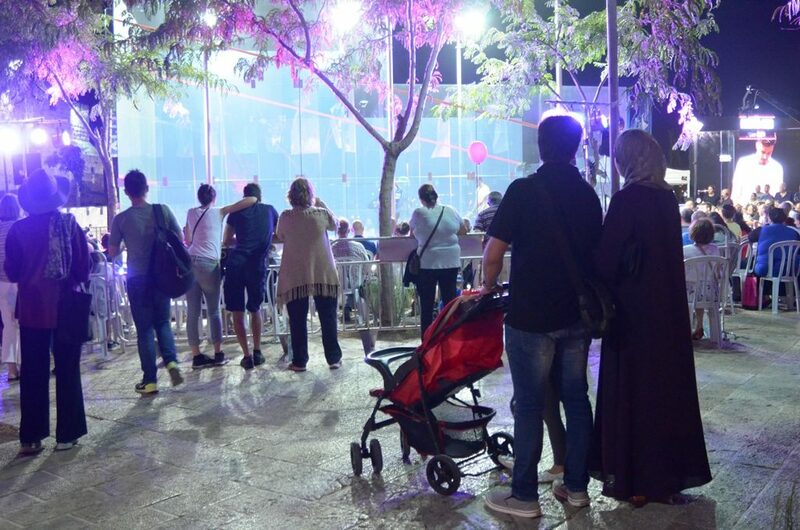 As they strolled through the plaza, this young Muslim family stopped to watch. 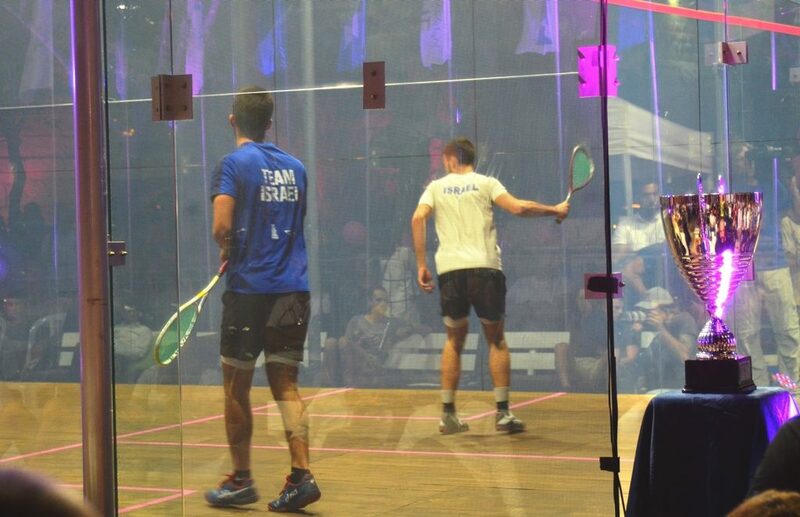 However, I thought this was one event best seen on TV. The moon was shining above as I walked from Jaffa Gate to the Kotel, the Western Wall. The men’s section had many empty chairs and tables. 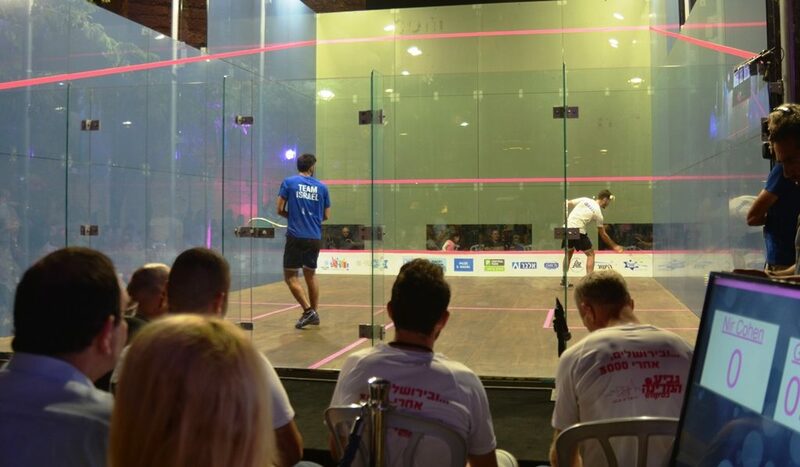 However, the women’s section was filled with hundreds of women–there was not one empty seat. One group praying together was of special interest. 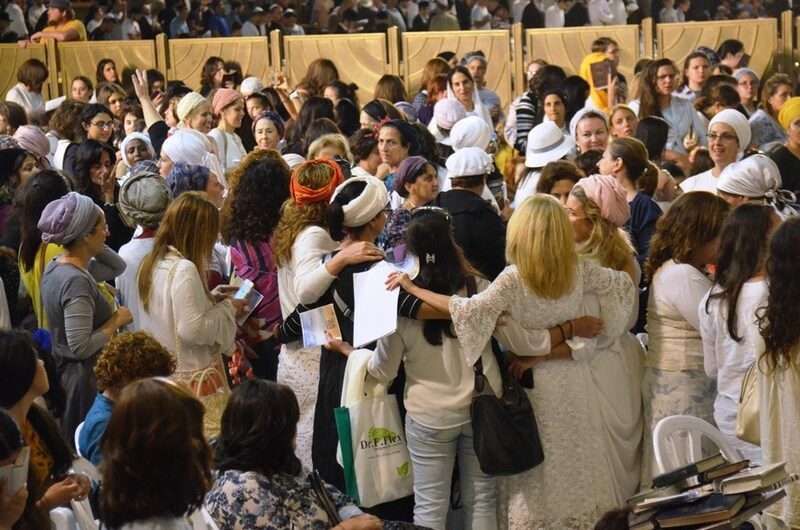 Israeli women from across the religious spectrum came from north and south to pray together. 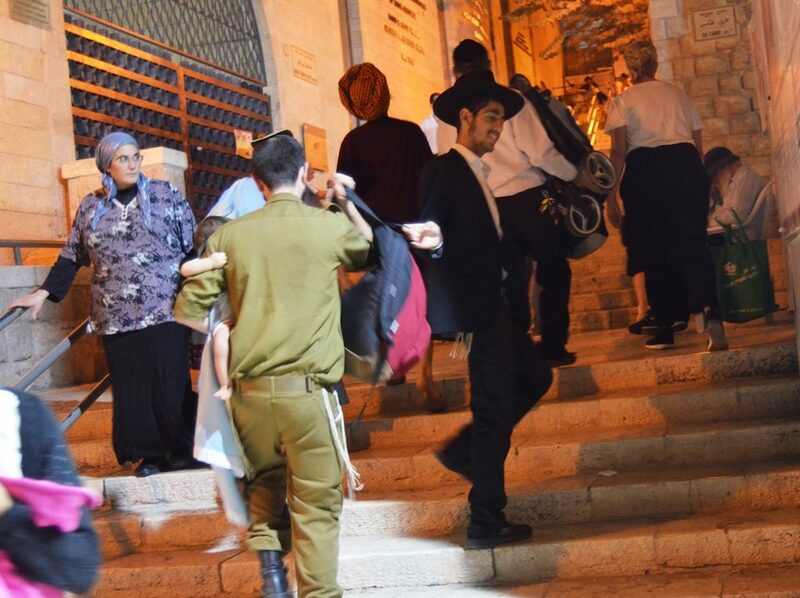 After praying in unison at the Kotel, dozens of women arrived to join them for a Tu B’Av celebration nearby. 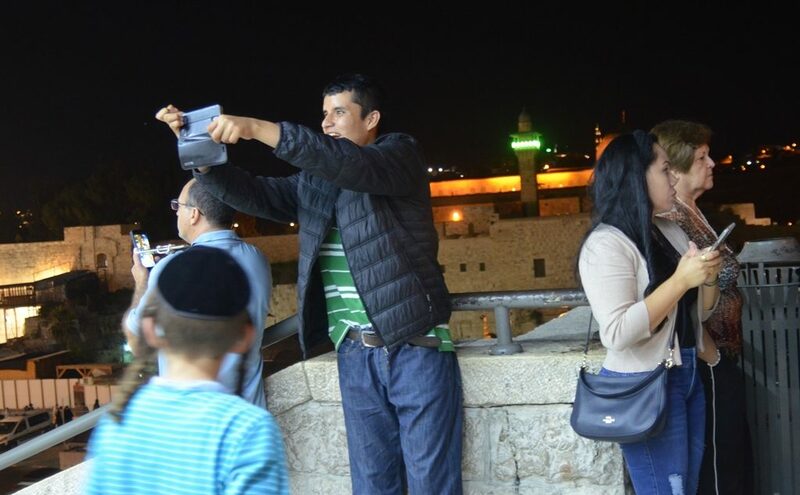 The Old City was filled with thousands of people, tourist groups, and Israelis of all ages. Photos and selfies galore were taken by excited visitors. I will leave you with one last scene on the stairs near the Kotel. A young IDF soldier was holding a baby on this left arm and a folded stroller on his right arm, with backpacks dangling over his shoulder and his kippa in his hand. First, one man insisted on taking the stroller from him and up the stairs. Then another young man turned to help to carry the backpacks. None of these five scenes are considered headline worthy. 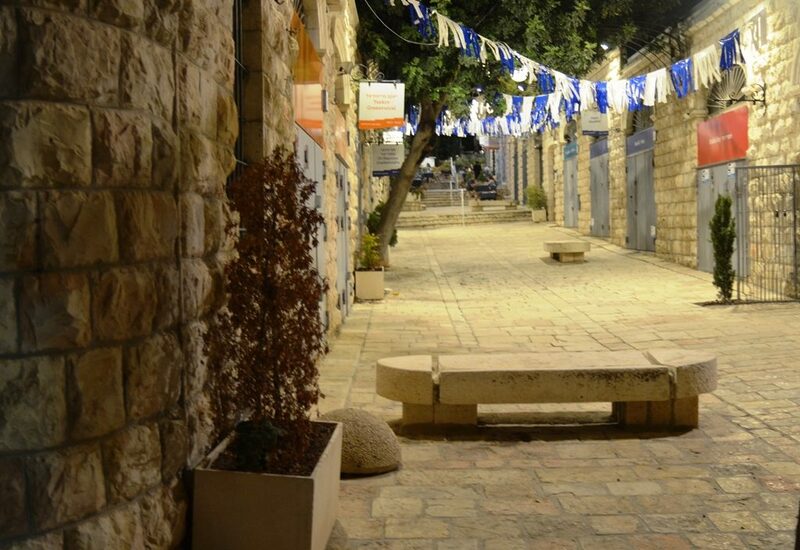 But all happened on the night of Tu B’Av on the Jerusalem streets. With headlines of division, strikes and protests, 5 scenes of comfort, of rays of light in the darkness. 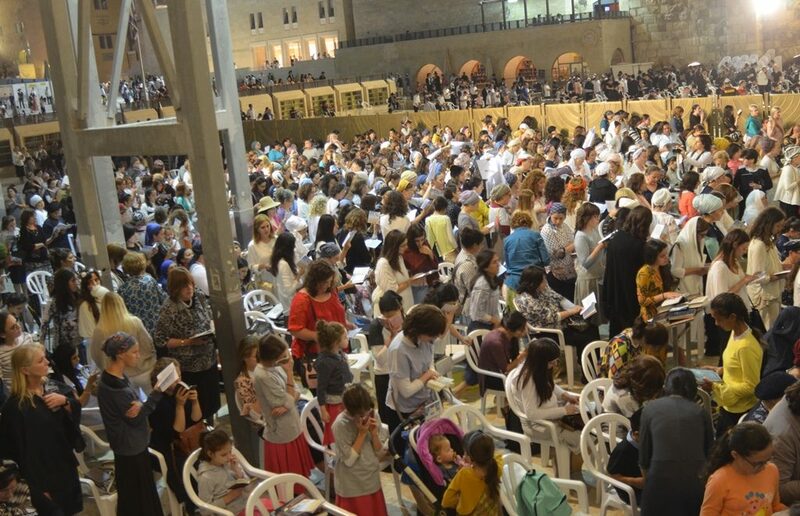 Beautiful faces and scenes of our beloved, Holy Jerusalem!